Baked teriyaki chicken wings with sticky sweet and savory sauce. These wings are crowd pleaser and perfect for busy weeknights. The make-from-scratch teriyaki sauce is so delicious! Please welcome my friend Jessica at JessicaGavin.com. Jessica is a talented and amazing cook. She offers some of the best and most enticing recipes I have seen online. Here is her Teriyaki Chicken Wings recipe, a crowd pleaser for any parties and a perfect meal for busy weeknights. Hi everyone, I’m Jessica Gavin, a Certified Culinary Scientist and cookbook author. I love to teach and share the science behind better cooking with my readers on JessicaGavin.com. I’m so thrilled that Bee has given me the opportunity to showcase one of my recipes with you. I’ve been a fan of Rasa Malaysia for years! 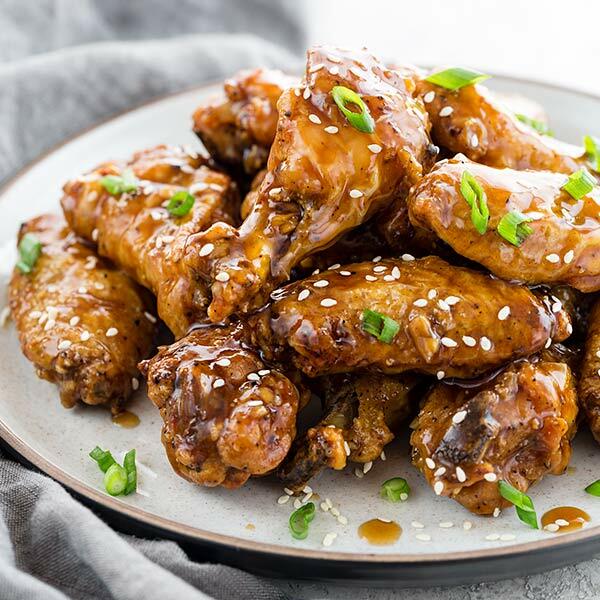 In keeping with her theme of easy delicious recipes, I created the most fantastic teriyaki chicken wings that have a nice oven-baked crunch while paired with a flavorful sauce. To make this oven baked recipe, the first thing to do is dry the wings thoroughly with paper towels. This process will minimize water on the surface of the skin which can create excess steam. Instead of merely seasoning the wings and baking them at super hot temperatures hoping to get a crispy skin, I recommend tossing them with a little baking powder. This handy ingredient typically used as a leavening agent encourages quicker browning of the skin just like it does in cakes in cookies. It also forms little bubbles on the surface that harden when heated, creating a more crackly skin. The result- extra crispy wings! The teriyaki sauce I use is a simple combination of soy sauce, water, honey, rice vinegar, rice wine, sesame oil, ginger, garlic, and cornstarch. The cornstarch instantly thickens the sauce within minutes when heated on the stovetop. The consistency of the sauce is essential because you want it to be thick enough to stick and coat the baked chicken wings. If the sauce is too thin, it will absorb right into the skin, losing the crunch factor. I hope you enjoy this recipe and learned a little culinary science too! If you’re craving more please check out my website and cookbook. And if you have any questions, do leave a comment below! Thanks Bee for having me. Teriyaki Chicken Wings - baked chicken wings with sticky sweet and savory teriyaki sauce. These wings are crowd pleaser and perfect for busy weeknights. Adjust oven rack to the middle position and preheat oven to 450°F. Line a large baking sheet with foil. Set a wire rack inside and coat with vegetable oil. Thoroughly dry chicken wings between paper towels. In a large bowl whisk together baking powder, salt and pepper. Add wings to the bowl and evenly coat the surface with the baking powder mixture. Evenly space the wings on the wire rack. Bake for 20 minutes. Flip and bake for 15 minutes. Flip and bake until skin is golden brown and crisp, 15 minutes. Remove the wings from the oven and set aside. 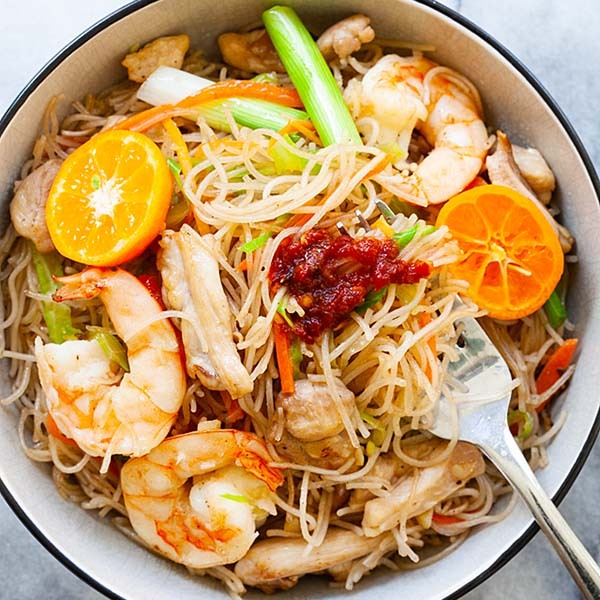 In a medium sized saucepan whisk together soy sauce,3/4 cup water, honey, rice vinegar, mirin, sesame oil, ginger and garlic. Bring sauce to a boil over medium-high heat and cook for 1 minute. Meanwhile, in a small bowl whisk together cornstarch and 2 tablespoons water. Add cornstarch slurry into the boiling sauce, whisk to combine. 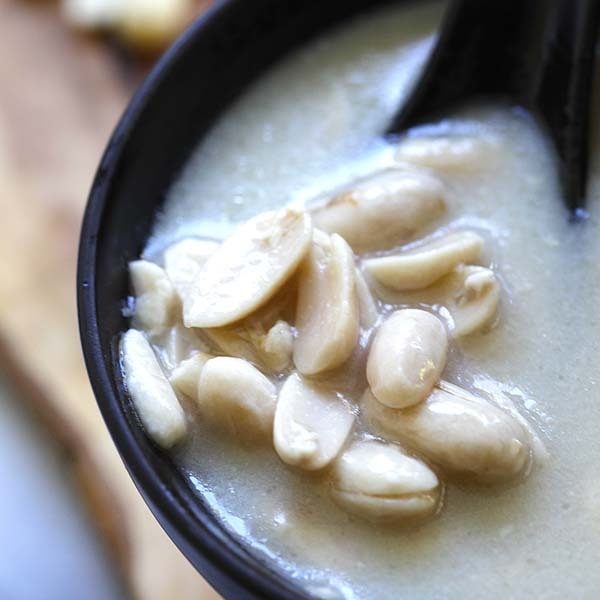 Continuously stir until sauce is thickened, coating the back of a spoon, 30 to 60 seconds. Toss wings in enough teriyaki sauce to coat, or serve sauce on the side for dipping. Serve immediately. That sauce sounds incredible – I love all the whole ingredients. Way better than store-bought! Yes, totally better than store bought. Okay, drool. These look really freaking amazing. Dare I say it- finger lickin’ good. 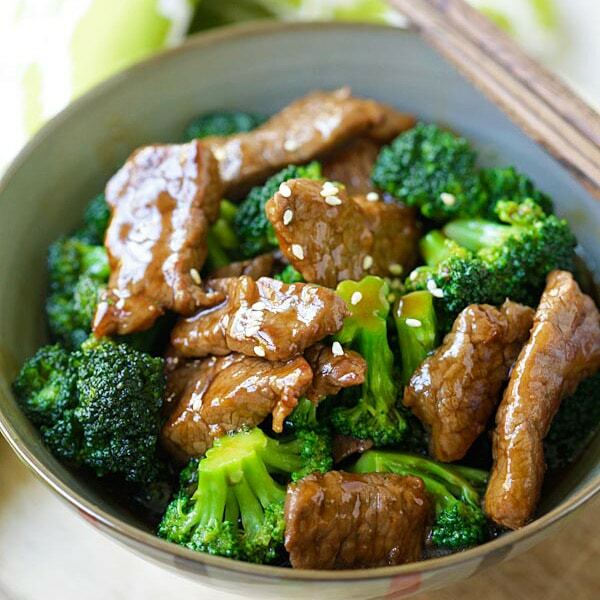 Hi Jessica, I have to tell you that your Teriyaki sauce is great combination! Made these tonight and I’m in love. The skin was so crispy and delicious! I’m planning on making my wings this way from now on. I loved the flavor. Thanks for the recipe! This is a great recipe. 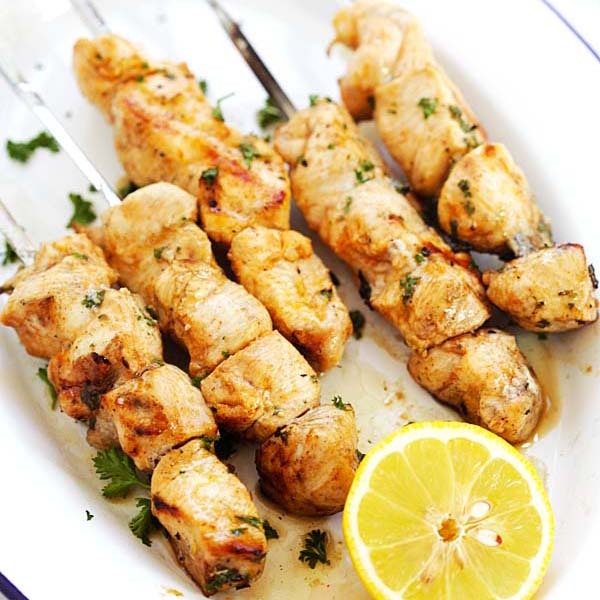 We’ve made this a few times with chicken wings but we’ve also tried it with shrimp and also calamari and it’s has been a hit every time. Thank you! Awesome glad you like these teriyaki chicken wings. Make teriyaki wings all the time.These are by far the best.